After several years of working in and around the Pittsburgh area, and a significant investment in Pittsburgh and Pennsylvania business development, Tec Inc. has opened an office in Pittsburgh. Local resident and Tec Inc. Senior Electrical Engineer, Brandon Sargent, will lead the office and serve our higher education, commercial, healthcare, and industrial clients in the area. Mr. Sargent lives in the area and worked from his home office for the last six years. 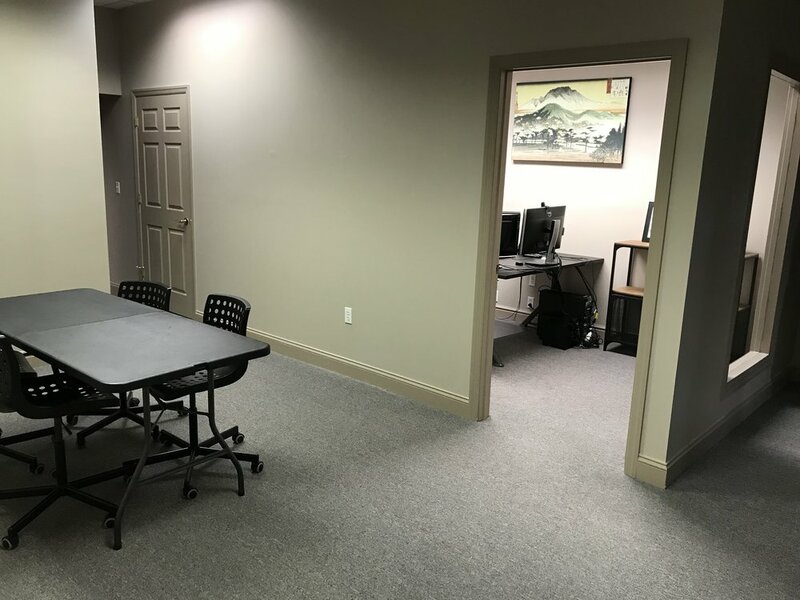 As business expands in the area for Tec, we have grown a client base in education, commercial, and healthcare projects that provides the opportunity to grow a branch office. The office, located at 2300 Freeport Road, in New Kensington, PA, will be adding staff within the next year as several new projects begin. This location was chosen for the ease of access to downtown and main transportation arteries, enabling us to continue to serve our local clients. Tec Inc., established in 1983, is a Mechanical, Electrical and Plumbing engineering services firm headquartered in Eastlake, Ohio with a branch office in Columbus, Ohio. The primary markets we serve are Industrial, Commercial, Education, and Healthcare sectors. Projects completed by Tec in Pennsylvania include, Gannon University Recreation and Athletic Center, Grove City College boiler replacement, and Erie Library renovations. 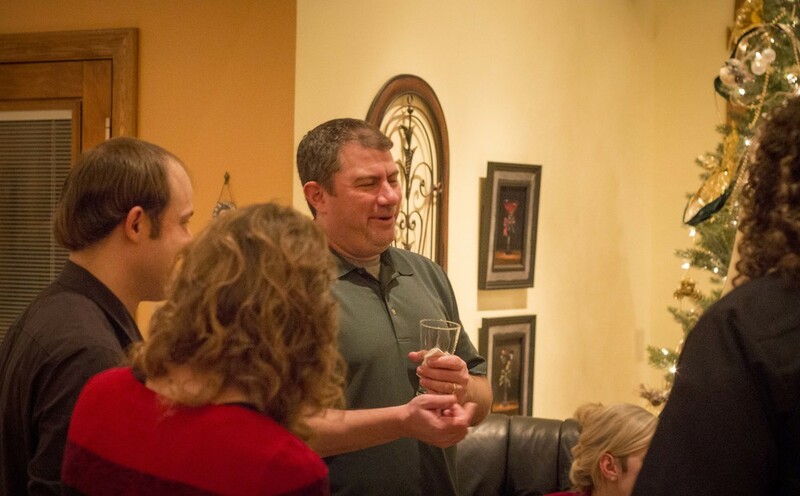 Our services are built on core values of building relationships, not just projects. Opening this new location will allow us to better serve our clients in Pennsylvania and increase our ability to weave our services into the fabric of the Pittsburgh design community. Tec is excited to welcome Ebbie Bobbitt. He has joined the Electrical Engineering Department and will provide engineering design and construction document production support to the department. Ebbie is originally from the Columbus, Ohio area, and is a graduate of Marquette University in Milwaukee, WI. He decided to start off his career in a new city, but close enough to go visit his hometown. Those of you who attended our 30th Anniversary Party last year will remember the charity "A Place to Go" for which we contributed $2000. Adam Kilbourne's friend, Laura Ewan, works for RTKL Architects and a small group from this firm volunteered to create "A Place to Go" and designed a sustainable (bio-gas) toilet facility for the Jitegemee School. The new school opened this week, the toilet facility is under construction. Laura and Mark from A Place to Go traveled to Africa for the grand opening of the school. They sent a photo and a note thanking Tec for the support. A big thank you to RTKL Associates Inc. and Tec Inc. Engineering & Design for their contributions to the A Place to Go project and the #Jitegemee kids. The new school facility, including the upcoming biogas toilet, really make a big difference in the lives of these kids and their community. Today was the first day of construction on our small renovation at the office. We are converting 2 cubicles into semi-private offices, 1 cubicle into an enclosed office, and 1 former storage room into a private office. Construction started on the semi-private offices, with demolition of the wall caps, removal of the front wall, and cutting of the side walls. The front wall is moving out two feet and the office entrances will be at the corners rather than the front. Last weekend we completed a much needed server replacement. Our 10 year old server did a great job for many years, but was definitely unsteady and on it's last legs. With the help of our IT consultant, Network Results, Inc. the replacement went very smooth. As good as I could have hoped for. That's not to say there were no problems, but any issues were very minor in the grand scheme of things. I learned a few lessons along the way, and hopefully these lessons can help others. The first one should be obvious. If you are not a dedicated IT professional with advanced knowledge, hire a consultant to help. Work with them to plan the ideal setup for your budget, and let them guide the purchase of the equipment. There is lead time to purchasing a server. Use this time to gather the information about your current network, workstations, users, and peripherals. Hopefully you have kept all of the information in a safe place along the way, but if you haven't this is the time to gather IP addresses, usernames, and as much information as possible on other equipment associated with the network. The IT professional/consultant should build the server prior to installation on the network. They can use all the information gathered to setup users, printers, peripherals, etc. The more complete the information you provide, the better job they can do setting up the server. Inform your users of the approaching upgrade. Don't just spring it on them. Let them know what to expect when they turn on the workstation. In our case, we had to setup a new network domain, which required new user accounts/profiles on the server and workstations. Prepare a map or signage in your office to help the IT staff navigate if they have to do any setup on the workstations. We don't have name plates on the cubicles/offices. I printed signs and taped them to the cubicle walls. Prepare an effective way to provide the username and password information for users the first time they log in. In our office, I was able to make little cards with the login credentials and leave them on the desks. You could do this in sealed envelopes if you need more security. The IT professionals/consultants should be available the first working day after the installation, to answer questions or sort out bugs. As with all the work we do, communication is the key. Communicate with the IT staff and with your staff. 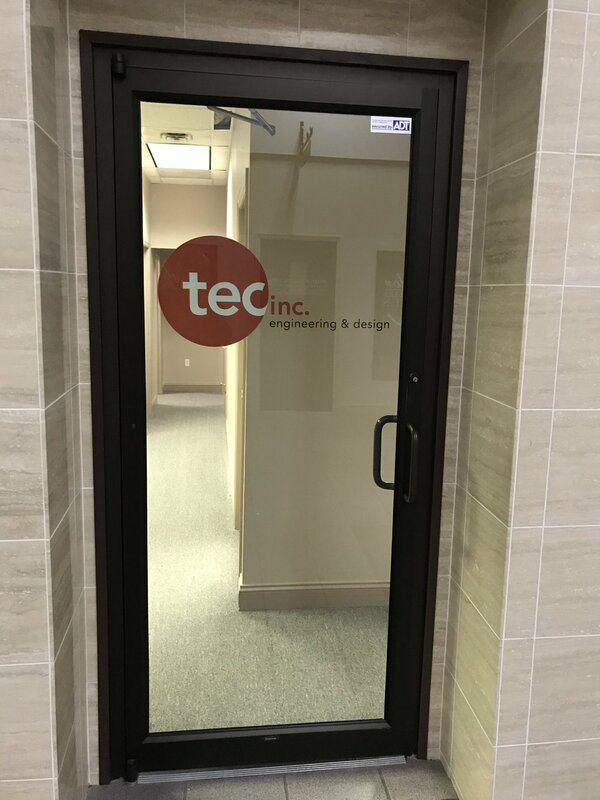 With the opening our downtown office space, Tec Inc. Engineering & Design recently applied for and received Small Business Enterprise (SBE) certification from Cuyahoga County. The SBE classification will allow Tec to work with County agencies that require certification, as well as with many of our architectural clients who do work with the County. Engineering, He's Really Not Crazy! Look closely…stooped down behind the table is an engineer feaverishly working to get a project out the door. 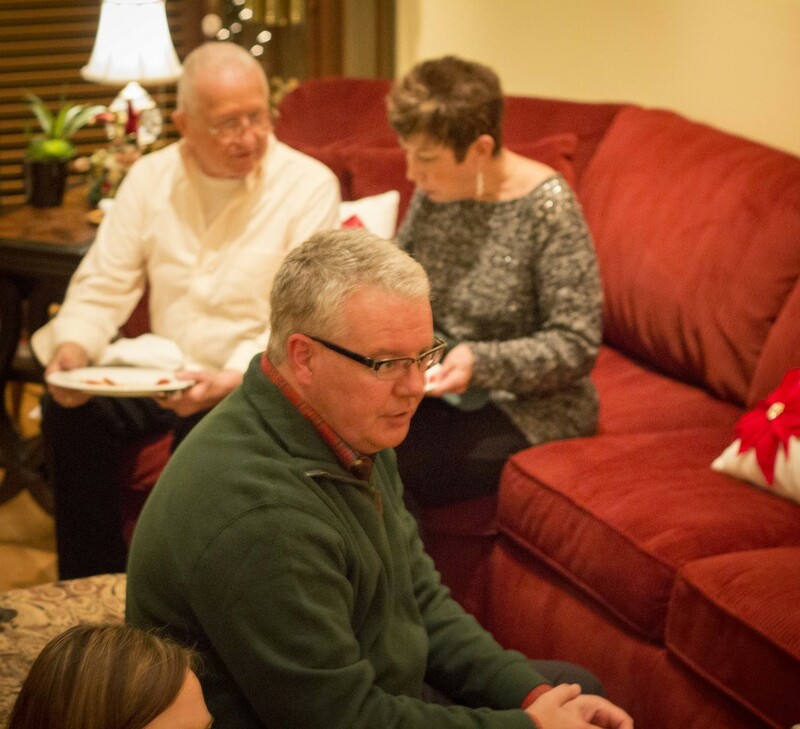 It may look like chaos, but he has a plan. Feel free to finish the story in the comments below.